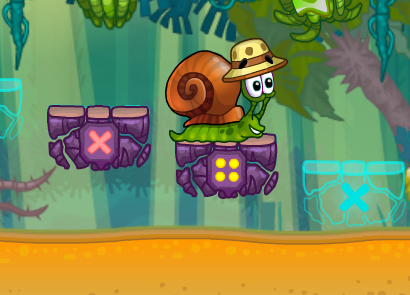 Snail Bob is back and better than ever in Snail Bob 6! 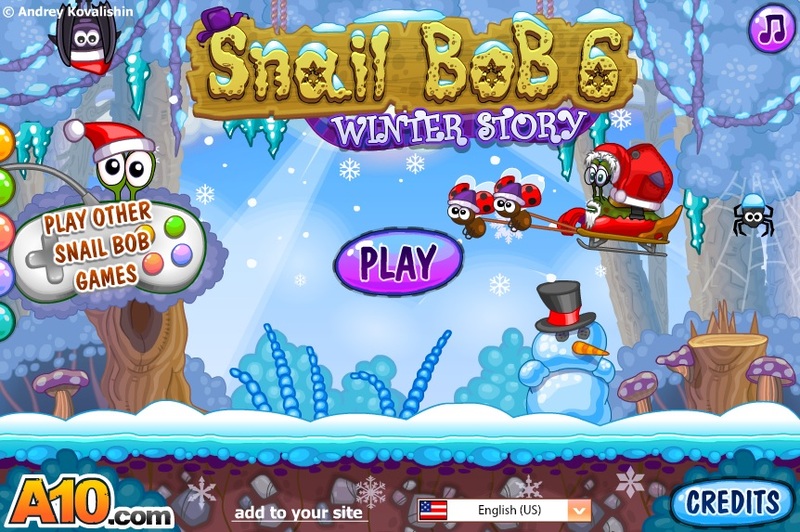 Help Bob save Santa Snail, who has been captured by the evil Mr. Green. 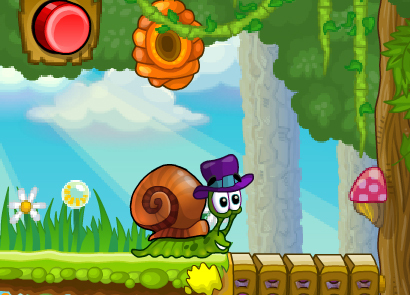 Overcome dozens of obstacles throughout every level in order to reach the final level and defeat Mr. Green. Save Christmas! Unlock special mini-games, find and collect dozens of golden stars, and receive fame and fortune before Mr. Green turns Santa into lunch! Do you think you can handle it? Try it now! 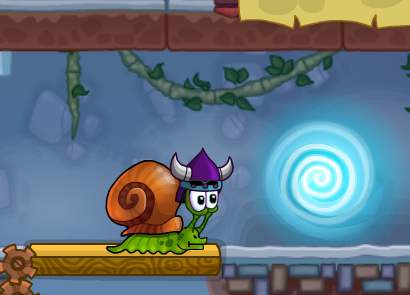 Mr. Green, the evil, despicable slimy green monster has captured Santa Snail. What’s worse, it’s already Christmas Day, so Santa is already late delivering presents to the small children throughout Bob’s community! 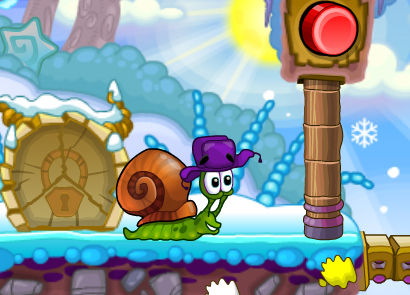 Help save Santa from Mr. Green’s clutches and save Christmas – for the children! 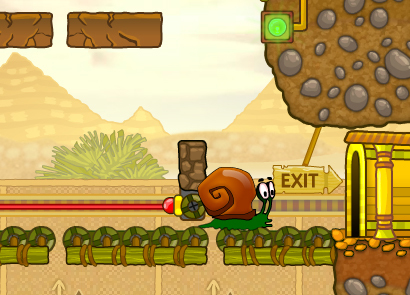 Similar to the previous versions and adventures of Snail Bob, the controls for Snail Bob 6 are quite basic. You will need to use your mouse and keyboard, but the majority of the functions can be activated with the use of your mouse alone. This makes things much easier for younger children to play as well as adults who simply want an easy to enjoy game without needing to search for or remember multiple key combinations to achieve the desired action. 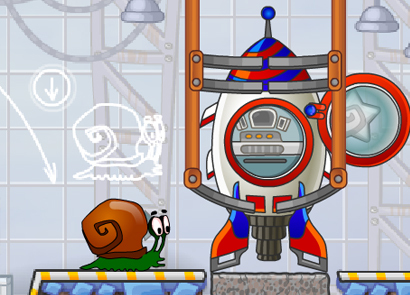 Mouse/clicking – use your mouse and left mouse button to click on various objects throughout the game. Objects such as buttons, levers, and other clickable items are available on each level of the game and perform a wide variety of functions such as open or close doors hiding golden stars or turning turn-table style platforms to help you easily turn Bob in the correct direction. Press the number 1 keyboard button – pressing the number one button on your keyboard will allow you to turn Bob in the opposite direction of where he’s heading. This will help you change directions quickly when there is no turn-table platform available. Alternatively, you can also click on the appropriate icon located at the top right corner of the game screen to complete this action as well. Press the number 2 keyboard button – pressing the number two button on your keyboard will allow you to activate the speed booster. 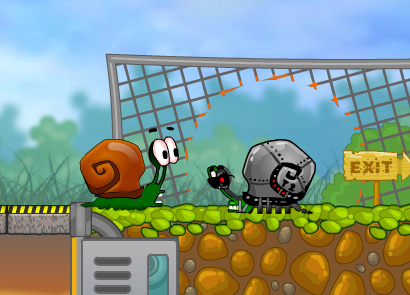 The speed booster will cause Bob to move twice as fast as his normal pace, allowing you to avoid dangerous obstacles or reach the “Exit” on any level much faster – increasing your score. Alternatively, you can also click on the appropriate icon located at the top right corner of your screen to complete the same action as well, should you choose not to use your keyboard hotkey functions. There are 25 levels available for players to complete. Each level has three golden stars to find and collect. Collecting these stars will help boost your overall score, as well as unlock special mini-games. 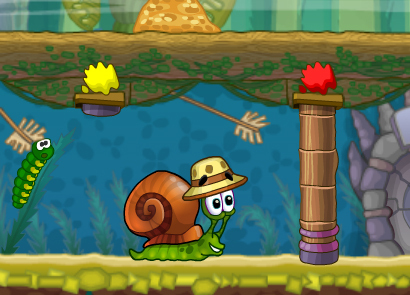 There are four special mini-games included in Snail Bob 6. To unlock them collect the appropriate number of stars. 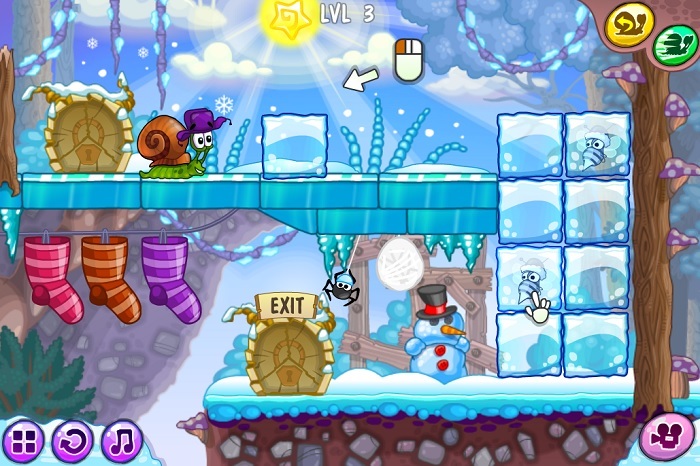 Mini-game 1 – Collect 10 gold stars. As you can see, there is a total of 70 stars that players can collect throughout all 25 levels. That’s a lot of stars! Take your time throughout each level to be sure you collect as many stars as possible. 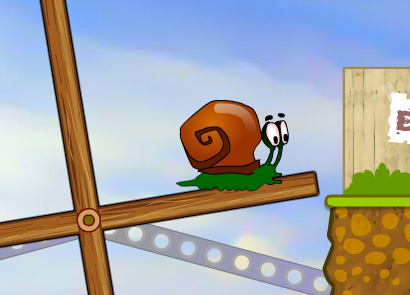 Have you come across a particularly difficult level? Found one you just can’t seem to figure out how to beat? Don’t worry, there are a ton of video walkthroughs available that you can watch in order to learn how to complete any level in the game. Many of these walkthroughs can be found on YouTube or other websites.